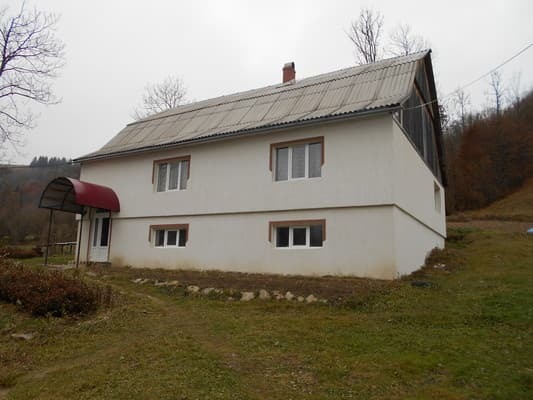 Private estate "Pid Yalinoiu" - is located near the ski center "Izki". The house offers 4 double spacious rooms on the second floor (there is a separate entrance), equipped with new modern furniture: each room has a double bed or a sofa bed, an armchair, a TV, a shared bathroom. On the floor is equipped with a living room with a fireplace, there is a kitchen for self-cooking, equipped with all necessary appliances, furniture, dishes, table. 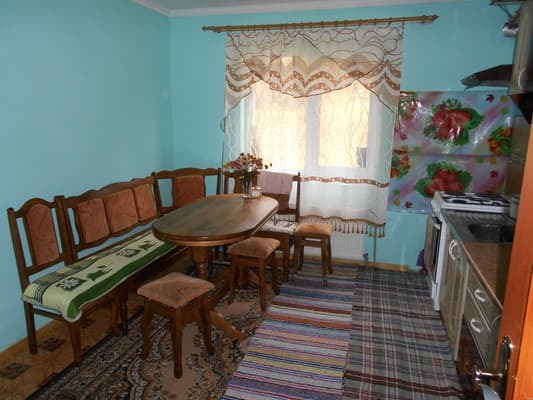 On the territory of the estate "Pіd Yalinoiu" there is a kolyba, designed for 25 people, where, in addition to food, you can order a banquet, celebrations and there is a kitchen where guests can cook on their own. If you wish, you can order food for an additional fee. As an additional service, guests can rent a ski, bike, excursions, transfer services. In the yard of the manor there is a grill, a gazebo. The nearest ski lift is 150 m from the manor. Description of the room: A spacious double room with the possibility of placing an extra seat. The room is equipped with a sofa bed, armchairs, there is a large capacious wardrobe, a mirror, a curbstone. 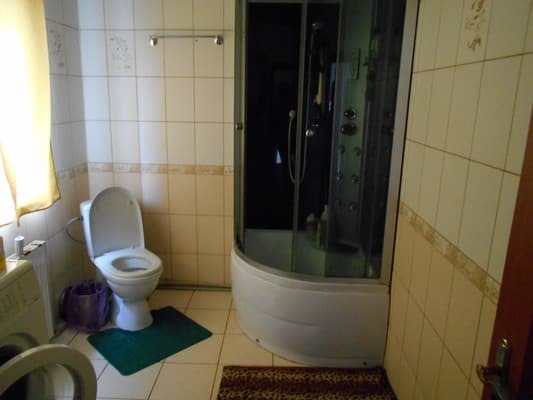 On the floor there is a common bathroom with a washing machine. Children under 6 years stay free of charge, up to 12 years - 50% discount. In the estate there is the possibility of placing an additional six seats. Holidaymakers can dine in a kolyba (25 people) located on the territory of the estate, as well as a kitchen for self-cooking. 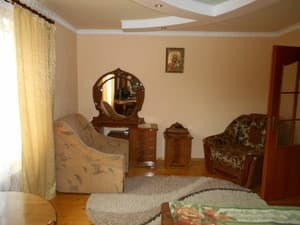 The private estate is located in the village of Izki, 200 m from the ski base, 2 m from the Mezhgorye-Volovets highway.